Our summer is off to a blazing start so I've had very little time in my studio and what time I did have I didn't feel like basting the stack of flimsys I've got growing. 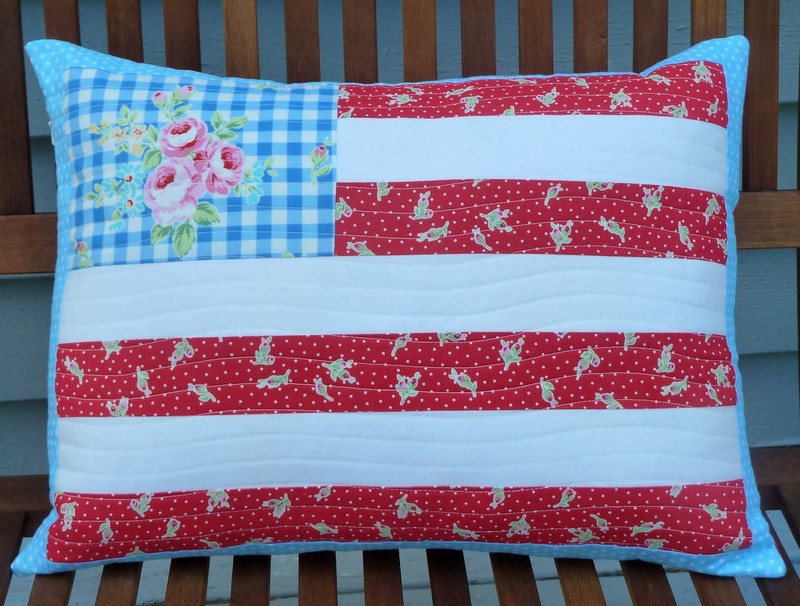 Unless you've been quilting under a rock you've seen Camille Roskelley's Stars and Stripes quilt lighting up the internet. 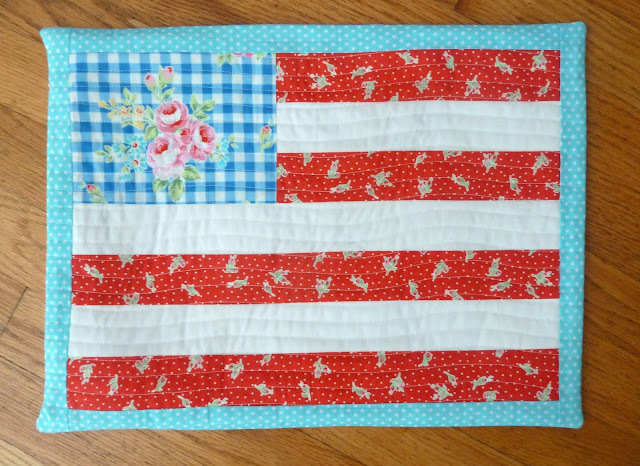 I've been meaning to make a July 4th quilt forever and I fell in love with this one, especially when I saw the beautiful one done by my friend Wife of Erp. 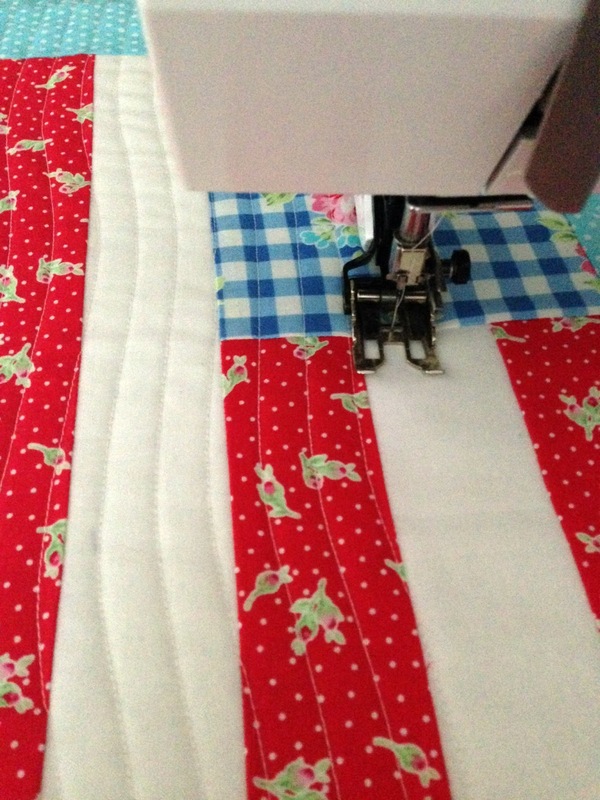 With the clock ticking a quilt seemed like a bit of a stretch but a single block pillow was definitely doable. This reminded me a bit of my British Invasion quilt so I dug thru my Flower Sugar stash for some red and blue. The block is super easy and whips up in no time. 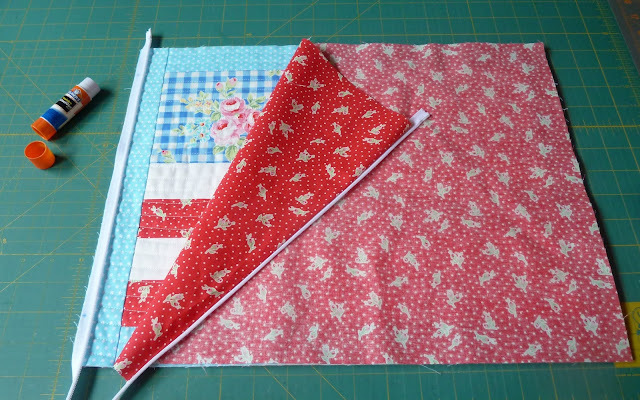 The directions are written for FQs but since I was using yardage I wish I had just made a red/white/red strip set and then cut it to the lengths I needed. I wanted to keep it simple with wavy quilting to mimic a flag rippling in the breeze. I did the first row free hand roughly in the center and then just kept following the line back and forth using the edge of my walking foot as a guide. I love the effect but I wish I'd exaggerated the waves a bit more on my first row. I was short of fabric for the back so I decided an invisible zipper would be the most efficient. There are tons of great invisible zipper tutorials out there but I used this one by Stop Staring and Start Sewing. I like using a glue stick to hold everything together rather than pinning. It's not quite invisible but I'm pretty pleased with my first attempt. 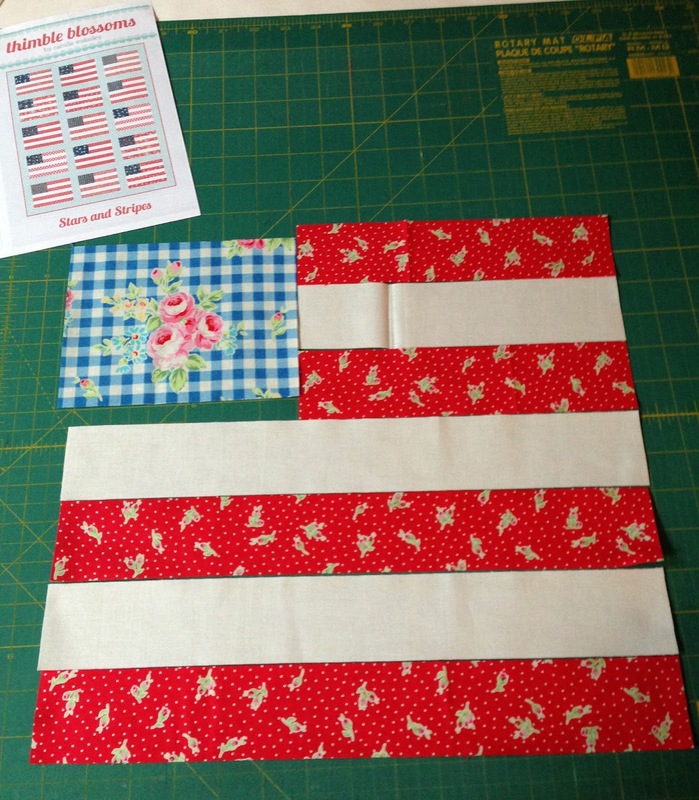 Celebrating with this week's Finish it Up Friday by Crazy Mom Quilts. Hope you have a fabulous 4th!!! 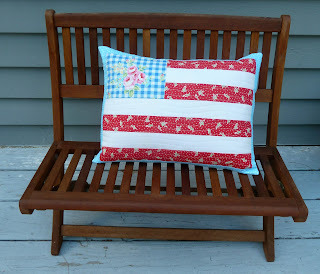 Finished pillow is 13" x 17"
Fabrics: Flower Sugar by Lecien, Kona Snow, Spot On by Robert Kaufman. Batting: Quilter's Dream Cotton Request. Oh what a lovely way to celebrate - have a happy 4th July! What a clever idea, using a blue fabric fussy cut for the field of stars. Love it!